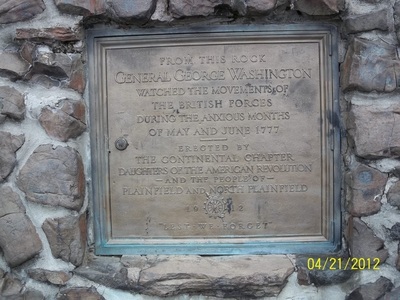 The Fall 2012 exhibit of Washington Rock was to commemorate the 100th Anniversary of the monument which was erected in 1912, by the Contintental Chapter Daughters of the American Revolution and the people of Plainfield and North Plainfield. 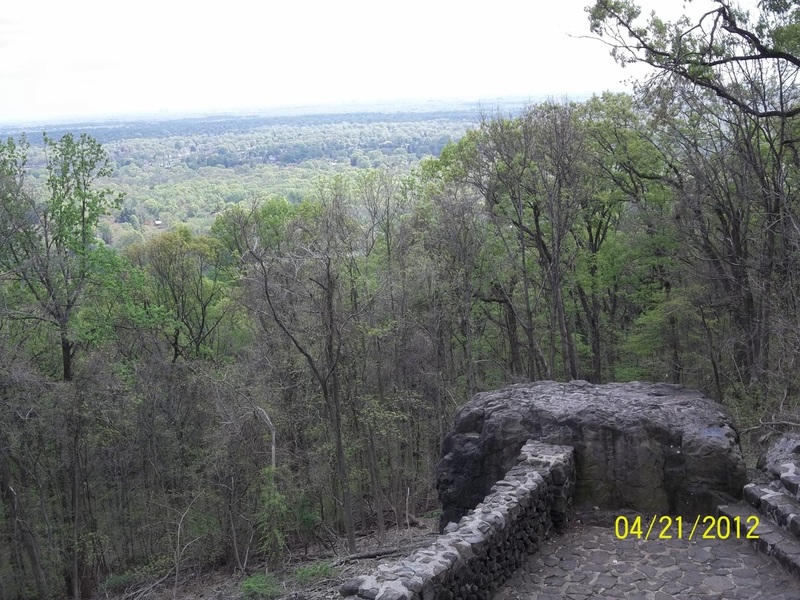 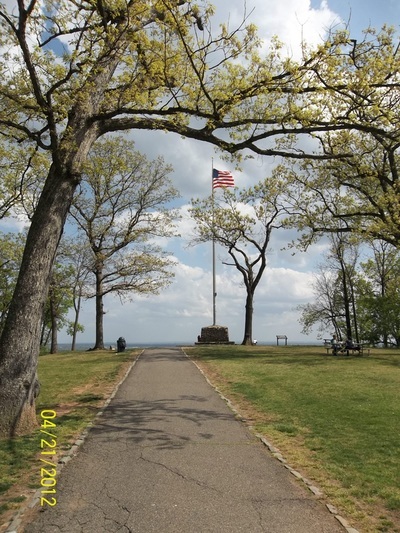 In the Spring of 1777, George Washington was searching for an observation point in the first rim of the Watchung Mountains where he could watch British movements during the Revolutionary War. 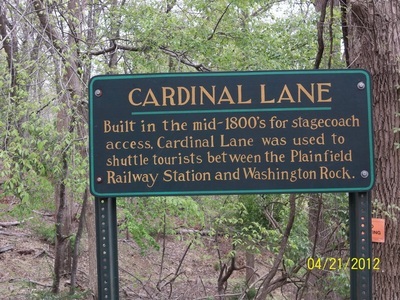 He rode up to John Vail's Farmhouse in Green Brook, New Jersey and found Edward Fitz Randolph, John Vail's brother-in-law. 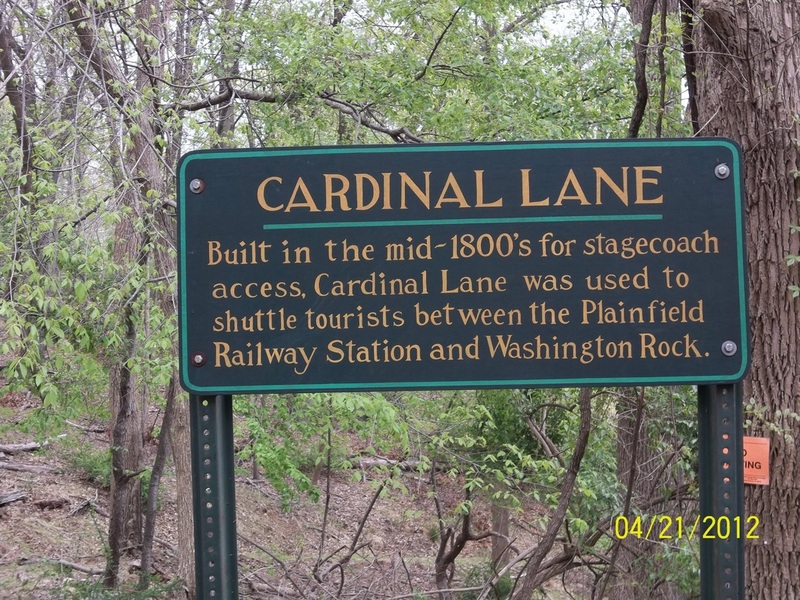 He led General Washington up to the rock by way of what is now Warrenville Road and then along the top rim of the first ridge of the Watchung Mountains. From there he could observe the valley below.